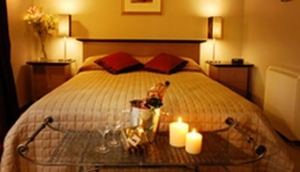 Bed & Breakfast in Wellington is one of the most popular choices for visitors. The 'Wellies' are a friendly bunch, with many opening up their homes to paying guests. Enjoy the personal touch, and make Wellington your home from home. Wellington Bed & Breakfast is friendly, affordable, and something a bit different from the common or garden hotel. Green, residential suburbs like Mount Victoria and Mount Cook, offer the most comprehensive range of central guesthouses, with easy access to the CBD. This eastern side of the city is filled with beautiful, large white houses with well-kept gardens, set in tranquil streets and squares. Kelburn, by the Botanic Gardens, is an up and coming guesthouse destination. Across the harbour, in Petone, you'll find some boutique, arty B&Bs, run by painters and writers. You also get the magnificent views of the Wellington skyline. In the CBD, the roads off Kent Terrace (Brougham St, Austin St) have a smattering of guesthouses, walkable to most attractions. There are also a few luxury B&Bs out in Oriental Bay, but you'll need to book early to avoid disappointment.